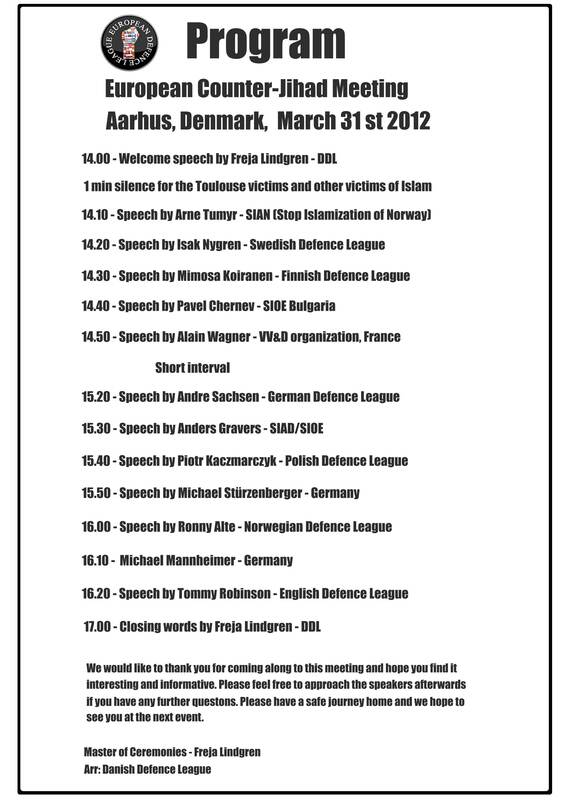 On 31st March 2012 the EDL will be attending the European Counter-Jihad Meeting in Aarhus, Denmark. It is subtitled quite simply, ‘defending the right to defend free nations’ and is available here. Any organisations not intending to travel to Aarhus, but still wishing to signal that they agree with the principles outlined in the Memorandum, are also more than welcome to sign up. Defending our right to speak out in defence of our country is how English Defence League was born, and that is why its message resonates around Europe (and the world). People are fed up of being taught to be ashamed of their culture. They’re tired of being told that their reasonable concerns are nothing but bigotry or racism. Intolerant and extremist attitudes are being spread in the name of Islam – not England, not Denmark, and not any of the other countries who will represented in Aarhus. What we can do about it is not clear. But the first step is to be able to speak about it. Support freedom of speech. Support the right to defend free nations. Support your nation’s defence league. In country after European country, the post-modern charade of the bliss of multiculturalism — the idea that all cultures are equal and can coexist peacefully side-by-side in any given country, and that Muslim immigrants should be allowed to keep their cultural traditions rather than integrate into wider European society — is unravelling. Consider just a few of the following Islam-related controversies that jolted Europe during March 2012, a month that not only exposed the deadly consequences of decades of politically correct multiculturalism, but also brought into stark relief the moral confusion that now reigns supreme among much of Europe’s political class. In France, a 23-year-old Islamic jihadist named Mohamed Merah confirmed the threat of homegrown Muslim terrorism. 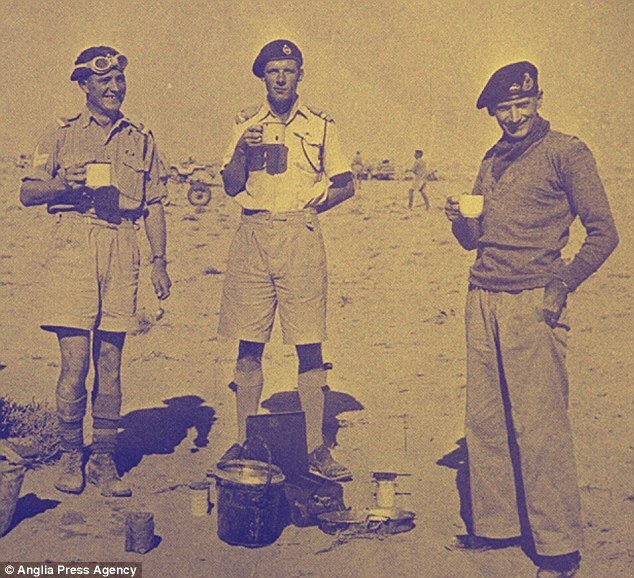 Merah, a French citizen of Algerian origin, killed three French paratroopers, three Jewish schoolchildren and a rabbi with close-range shots to the head. He filmed himself carrying out the attacks that began on March 11 to “verify” the deaths. Merah later died in a hail of gunfire on March 22 after a 32-hour standoff with police at his apartment in the southern French city of Toulouse. In an extraordinary display of moral callousness, an indifferent Catherine Ashton, the European Union’s ‘Foreign Minister’ and member of the British Labour Party, declared that “what happened in Toulouse,” — the deliberate murder of the Jewish children — was morally equivalent to the accidental war deaths of Palestinian children in the Gaza Strip. Then, in a clumsy effort to blunt the outrage engendered by Ashton’s spectacle, her spin doctors released a statement to “clarify” her remarks by amending the official transcript of her speech. Meanwhile, in Geneva, Switzerland, the United Nations Human Rights Council on March 19 extended an invitation to Hamas’s very own Ismail al-Ashqar to speak to the 19th regular session of the body. The UN reluctantly rescinded al-Ashqar’s invitation at the last minute on fears that his appearance might further undermine its own credibility. True to form, the Human Rights Council considered five resolutions on Israel and the Palestinians, including four resolutions submitted by Palestine, even though no such state exists. One resolution called for the council to appoint an international fact-finding committee to investigate Israeli “settlements” on the West Bank and their impact on Palestinian life. The measure was adopted by a vote of 36 in favor, 1 against and 10 abstentions. Voting in favor were: Austria, Belgium, Norway and Switzerland. Not surprisingly, no European country opposed the measure (the United States cast the only ‘no’ vote). Gabriel, a former environmental minister, was unrepentant. He later sought to meet with Hamas in the Gaza Strip, despite Germany’s official policy not to recognize the terror group. Gabriel also said he welcomed the inclusion of Hamas as political partner in the Middle East. In Sweden, Ilmar Reepalu, the leftwing mayor of Malmö, accused Jews in the country of teaming up with an anti-immigrant party to “spread hate” toward Muslims. Muslims now comprise between 20% and 25% of Malmö’s total population of around 300,000; much of the increase in anti-Jewish violence in recent years is being attributed to shiftless Muslim immigrant youth. In recent months, the only synagogue serving Malmö’s 700-strong Jewish community has been the focus of repeated attacks. The synagogue, which has previously been set on fire and been the target of bomb threats, now has guards stationed around it, while the Jewish kindergarten can only be reached through reinforced steel security doors. Reepalu was referring to an incident in January 2009, during Israel’s brief war in Gaza, when a small demonstration in favor of Israel was attacked by a screaming mob of Muslims and Swedish leftists, who threw bottles and firecrackers as the police looked on. In a March 22 interview with the magazine NEO about the rise of anti-Semitism in Sweden, Reepalu said the Jewish community has been “infiltrated” by the conservative Sweden Democrats party to promote their mutual disdain for Muslims. Reepalu’s comments triggered outrage but he is unlikely to give ground. A recent think tank study entitled “Sharia Law or One Law for All” found that scores of unofficial tribunals and councils regularly apply Islamic law to resolve domestic, marital and business disputes, many operating in mosques; and warns of a “creeping” acceptance of Sharia principles in British law. In London, Ashton’s Labour Party colleague Ken Livingstone, who is campaigning to become its next mayor, said he wants to turn the capital city into a “beacon” of Islam. According to a recent Ipsos MORI poll conducted for the BBC, Livingstone’s main rival, the incumbent mayor Boris Johnson, holds a slight lead but is in a statistical dead heat. With an estimated one million Muslims living in London, Livingstone’s appeal to Islam may, on May 3, propel him into the mayor’s office. Speaking to Muslim worshippers on March 16 at the North London Central Mosque, one of the most hardline anti-Western mosques in Europe, Livingstone pledged that if elected, he would “educate the mass of Londoners” about Islam. In the Netherlands, the Dutch public broadcaster VPRO has been offering its viewers a downloadable board game called “The Settlers of the West Bank” featuring Israeli “settlers” who use “Jewish stinginess,” “Wailing Wall,” and “Anne Frank” cards to “colonize” the West Bank. The aim of the game is to build as many “settlements” as possible on so-called Palestinian territory. VPRO, describing the game as “thought-provoking satire,” reluctantly removed it from its website following accusations of anti-Semitism. Dutch politician Geert Wilders was quick to refute Bolkestein by saying that “Jews should not emigrate, anti-Semitic Moroccans should.” But the writing is on the wall; Europe’s Islamic future has arrived. The UN and Arab League envoy to Syria, Kofi Annan, expects the government to implement his peace plan immediately. The peace plan, which the government accepted on Tuesday, calls for a UN-supervised cessation of armed violence in all its forms by all parties. But activists say government forces have been shelling the central city of Homs and fighting armed rebels in the eastern province of Deir al-Zour. Five people were killed as clashes erupted in the town of Quriya, not far from the border with Iraq, when troops opened fire on a protest, according to the Syrian Observatory for Human Rights. 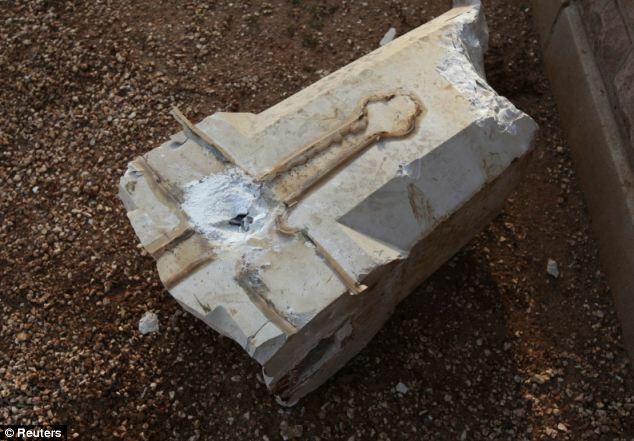 Earlier, two people were reportedly killed by government snipers in Homs and the city of Idlib, and two others were shot dead as they drove through a rural part of Homs province. Maureen Messent est exact que de nombreux sous-performants enfants blancs anglais »ont parent (s) sans mesures incitatives pour encourager leur progéniture à réussir». Cependant, je dois demander, d’où vient-elle pense que ces parents ont été éduqués? Est-ce qu’elle pense qu’ils ont surgi de nulle part, que tout le monde a décidé en masse ils le feraient avec apathiques en ce qui concerne l’avenir de leurs enfants? Le fait de la question, c’est que les parents, grands-parents et même arrière-grands-grands-parents des enfants qu’elle se réfère à des produits de notre système d’éducation. C’est un système qui a été à défaut de la majorité des gens ordinaires de la classe ouvrière depuis des décennies. Si ce n’est pas le cas, alors je dois supposer que Messent est ce qui implique que la classe ouvrière anglaise sont en quelque sorte inférieure, dont je suis sûr qu’elle n’est pas, comme ce serait indéniablement raciste. Le système éducatif a échoué, et continue à échouer, génération après génération d’écoliers anglais de la classe ouvrière. Discipline a été abandonné (maintenant rétabli, pour une raison étrange) dans les écoles britanniques ainsi que la société en général. Essayées et testées avec succès les méthodes d’enseignement ont été remplacés par une expérience a échoué après l’autre. Nous voyons maintenant le point culminant de cette faute dans les gens qu’elle déshumanise si froidement avec le langage provocateur, je osé lui à utiliser lorsqu’on se réfère à tout autre groupe social ou ethnique. Bien sûr, elle ne sera pas utiliser des termes semblables ou les stéréotypes avec les autres ethnies. Si elle le faisait, elle serait la rupture Syndicat national des journalistes des lignes directrices, mais parce que c’est la classe ouvrière anglaise, nous sommes considérés comme un jeu équitable par Messent et, malheureusement, votre journal par l’association. Contrairement à d’autres auparavant sous-réalisation de groupes sociaux, la classe ouvrière anglaise, maintenant une minorité dans son propre droit selon un récent sondage réalisé par le groupe de recherche-Bretagne pense, a, jusqu’à présent, été constamment négligés et ignorés par le système qui identifie et combats sous-performants enfants d’autres groupes minoritaires. Les raisons pour lesquelles sont évidents, la classe ouvrière anglaise a été désertée par ses bienfaiteurs traditionnels tels que l’église, a volé de ses organes de défense tels que le Parti travailliste ou des syndicats. Par conséquent, avec personne pour parler en leur nom, ouvrière anglaise préoccupations de classe tels que l’éducation, mais aussi le logement, le bien-être et de l’emploi ont été systématiquement ignorés par les gouvernements successifs. Oui, il ya beaucoup de familles blanches anglais maintenant qui reçoivent des prestations, mais de les rejeter tous comme workshy ou ne veulent pas trouver un emploi décent qui ne va pas, non seulement parce qu’elle est stéréotypée et discriminatoire, mais parce qu’il est incorrect. Toute personne qui vit dans le monde réel sait qu’il n’ya simplement pas la même quantité d’emplois se trouvaient des et de la population a augmenté, sans parler de la concurrence des bas-frais généraux et, dans certains cas subventionné migrants économiques sous-couper un grand nombre d’emplois domestiques- demandeurs pour les postes vacants qui restent peu au Royaume-Uni. Il est seulement devenu pertinent aujourd’hui, parce que les ignorants, comme Messent, souvent chercher des boucs émissaires lorsque les choses se corsent. Tout comme les politiciens qui cherchent le plus petit dénominateur commun à blâmer pour leurs propres erreurs, le plus faible dans la société sont des proies plus faciles que les vrais coupables. Ces personnes, qui Messent cruellement et déshumanise inutilement avec des termes tels que «bovine», sont en réalité l’abandon classe ouvrière anglaise, excédentaire aux besoins de notre fabrication est désormais affermés à des tiers monde ateliers clandestins. Avec les industries manufacturières du pays en déclin terminal et les perspectives d’emploi peu, ces gens abandonnés ont été laissés à pourrir dans des ghettos blancs Council Estate. Oui, une culture avantages est encouragée, mais par qui? Pour dire que ces gens sous-scolarisés et donc dépolitisée sont les architectes de leur propre destin, de dire qu’ils ont conçu la situation, est risible, pour ne pas mentionner crasse. Ce que nous fait voir est le résultat de la lâcheté abjecte par nos politiciens, qui maintenant se soucient plus de gain à court terme, la réélection et le pouvoir qu’ils ne le font quant à l’intérêt national et le développement personnel de leur électorat. Eh bien, quand je dis électorat, c’est là la raison de la déréliction de la classe ouvrière devient évident: il en résulte l’éducation pauvres en moins d’attentes, il se traduit aussi par des personnes se détacher du processus démocratique. La situation a été conçu, mais pas par le Messent personnes tient à un seul dehors, victimiser et le blâme. Notre industrie a été autorisé à se désagréger, de préférence à l’exploitation à faible tracas, mais élevé de personnes du tiers-monde, en particulier l’Extrême-Orient. Il n’est pas dans l’intérêt de notre établissement pour améliorer les normes d’éducation pour les enfants de la classe ouvrière anglaise, ni coup d’envoi de fabrication, parce que s’ils le faisaient, cela voudrait dire des gens ordinaires pourrait s’attendre à un emploi rémunérateur. Où seraient les emplois vient-il? Je pense que la seule phrase intéressante est l’utilisation Messent de «lumpen» le mot, si elle utilise une définition du mot, puis elle accepte effectivement avec moi que les personnes concernées sont dépossédés ou déplacées, les personnes qui ont été coupés de la situation socio -économique classe avec laquelle ils seraient normalement identifiés. Si elle utilise l’autre définition, vulgaire ou commune, dont elle doit évidemment être, alors qu’elle est inutilement offensant. Messent les parents de marque, elle ne sait pas que «à peine literate’and ‘repos’, elle a dit qu’ils sont des gens qui« ne pouvait pas m’en fous si leurs enfants à réussir à l’école ou non ». Elle stéréotypée entre eux comme des gens dans des logements subventionnés ‘qui germées’ énormes écrans de télévision où le reste d’entre nous en veilleuse nos livres ». Il est devenu ironiquement comique qu’elle a ensuite de les étiqueter comme des grumeaux lamentablement ignorants de la bigoterie », qui étaient exactement les qualités qu’elle avait elle-même tout au long de cette pièce affichées mal pensé de non-sens diffamatoire. Le Birmingham Mail a gravement se laisser tomber en publiant discriminatoire de ce type de cale. C’est injuste, partial et si tout autre groupe socio-ethnique a été choisi et publiquement fouetté de telle manière qu’il serait condamné et Messent serait hors d’un travail. Eight days after four Jews were murdered in the Otzar Hatorah school in Toulouse, hatred-based violence has hit France again, this time in Paris. Channel 2 News reported on Tuesday that a student from the Otzar Hatorah campus in the French capital was lightly injured in an attack by anti-Semites. The report, which cited local authorities in Paris, said the 12-year-old boy fell victim to violence by a group of unknown assailants who ambushed him outside the school and called out anti-Semitic slurs. The attackers were able to carry out their plan in spite of the increased security around Jewish schools and synagogues in France, following last week’s attack. The President of the Otzar Hatorah network of schools, Jean-Paul Amoyal, was quoted by Channel 2 as having told news agencies that the student was attacked only 100 meters from the entrance to the school, in an area that was not guarded. Amoyal added that no suspects have yet been arrested and that their identity is not known. The latest attack comes a day after French authorities formally launched an investigation into the brother of the Toulouse terrorist, Mohammed Merah, believing he may have been an accessory to the murders. Abdelkader Merah, the murderer’s older brother, is suspected of assisting Mohammed in preparing his attacks. The 29-year-old Abdelkader Merah has allegedly told police that he is “very proud” of his brother for murdering his victims. “I regret nothing for him and approve of what he did,” Abdelkader reportedly told investigators. Earlier on Monday, intelligence officials confirmed reports that Mohammed Merah spent time in Israel over a year and a half ago. Voilà ! cela se passe en Libye et s’est absolument, Scandaleux et totalement INFAME ! C’est un Outrage Absolument Inacceptable !!! L’Angleterre a participé à la Libération de ce pays, et voilà que l’on profane un cimetière datant de la Guerre Mondiale sous le prétexte de signe Chrétien !!! Je vous laisse réfléchir par vous-même sur ce sujet qui me dépasse et dont ma rage ne dépassera en aucun l’outrage fait au Royaume-Uni ainsi qu’à la Chrétienté dans son ensemble !!! That ! 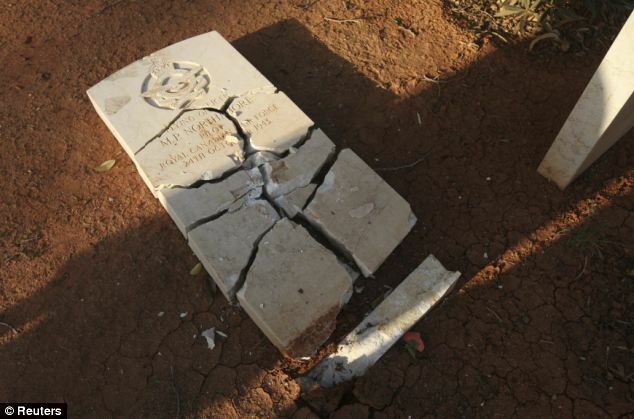 this is happening in Libya and was absolutely Outrageous and totally INFAMOUS! This is an Outrage Absolutely Unacceptable! England participated in the liberation of this country, and here we lay a cemetery dating back to World War II under the pretext of Christian symbols! I let you think for yourself on this subject is beyond me and my rage, which shall never match the insults made to the UK as well, as Christianity as a whole!!! STOP ISLAMIZATION OF EUROPE !!! It seems that – at last! – the relevant agencies in Bradford have finally accepted the existence of a Muslim ‘sexual grooming’ problem in the city. That acceptance has of course come along with a will and the means to do something about it. The reason that this huge problem (in Bradford and throughout England – especially the North West) has not be accepted as a problem, let alone acted upon, is the political correctness, or leftist/liberal-leftist, attitude to Muslim sexual grooming. Or, in other words, the fact that virtually all ‘grooming gangs’ in Bradford, as elsewhere, are Pakistanis as well as Muslims. The case law confirms TF fines of 1,400 francs to Muslim parents who refused their daughters after the compulsory swimming. The obligation to participate in mixed swimming lessons does not, for Muslim children, an unacceptable assault on religious freedom, said the Federal Court. It thus confirmed fines totaling 1,400 francs imposed on Muslim parents who refused their daughters after the compulsory swimming given to primary school pupils in Basel city. They explained their veto by the desire to give their daughters an education in conformity with the precepts of the Koran. Swimming lessons are mixed in their opinion incompatible with the sense of shame that they intend to teach their children before the age of puberty already. The TF reminds them that it has amended its case three years ago. He considers that the obligation to participate in mixed swimming lessons does not, for Muslim children either, an unacceptable assault on religious freedom. In 1993, he made a totally different case, which caused a sensation. He had upheld the appeal of a father who had objected to his daughter shows in bathing suits to his fellow men. For TF, none of the arguments presented by the parents, whose desire to better integrate Muslim families, not justified to reconsider its new case law. Jurisprudence Le TF confirme des amendes de 1400 francs à des parents musulmans qui avaient refusé que leurs filles suivent les cours obligatoires de natation. L’obligation de participer à des cours de natation mixtes ne constitue pas, pour les enfants musulmans, une atteinte inadmissible à la liberté religieuse, estime le Tribunal fédéral. Il a ainsi confirmé des amendes d’un montant total de 1400 francs infligées à des parents musulmans qui avaient refusé que leurs deux filles suivent les cours obligatoires de natation donnés aux élèves des écoles primaires de Bâle-ville. Ils avaient expliqué leur veto par le souci de donner à leurs filles une éducation conforme aux préceptes du Coran. Des cours de natation mixtes seraient à leurs yeux incompatibles avec le sens de la pudeur qu’ils entendent inculquer à leurs enfants, avant l’âge de la puberté déjà. Le TF leur rappelle qu’il a modifié sa jurisprudence il y a trois ans. Il considère que l’obligation de participer à des cours de natation mixtes ne constitue pas, pour les enfants musulmans non plus, une atteinte inadmissible à la liberté religieuse. En 1993, il avait rendu une jurisprudence totalement différente, qui avait fait sensation. Il avait admis le recours d’un père de famille qui s’était opposé à ce que sa fille se montre en costume de bain à ses camarades de sexe masculin. Pour le TF, aucun des arguments présentés par les parents, dont le souci de mieux intégrer les familles musulmanes, ne justifient de revenir sur sa nouvelle jurisprudence. Il confirme tant les sanctions prononcées par les autorités bâloises que la décision du Tribunal administratif cantonal. Ce dernier avait jugé qu’il existe «un intérêt public important à ce que tous les enfants suivent les cours de natation». Thanks for the person who made me discover this link, Cheers ! “The people want an Islamic state”, “the people want sharia (Islamic law),” chanted the protesters, whose number was estimated by a police officer on site at between 8,000 and 10,000. Tunisia’s moderate Islamist leaders, who took power following last year’s ouster of strongman Zine El Abidine Ben Ali after a popular uprising, are under pressure to adopt sharia law in the new constitution. Demonstrators also condemned as “an unacceptable crime” and a “provocative act” the desecration of the Koran and religious sites in incidents in Tunisia last week. Frank Gaffney tells Brigitte Gabriel that the practice of Sharia is actually an act of sedition against the US Constitution and must therefore be prosecuted. Short but very direct reasons why Sharia is not compatible with out Constitution or any form of democracy. Full details of the Lockerbie bomber’s grounds for appeal have been published for the first time. The Sunday Herald said it had decided to publish online the 821-page report from the Scottish Criminal Cases Review Commission (SCCRC) in the case of Abdelbaset al-Megrahi. It follows assurances by the lord advocate that SCCRC members would not be prosecuted for publishing details. The newspaper said it chose to publish on the grounds of public interest. The move was welcomed by First Minister Alex Salmond, who had earlier called for the grounds for appeal to be published. Last week Lord Advocate Frank Mulholland said that while it was an offence for the commission to disclose information obtained in its investigations, he considered “it would not be in the public interest to prosecute, given the selective publication” in the media. The SCCRC took four years to consider the Lockerbie bomber’s case. Dicci cosa sta succedendo in Ticino, grazie, e Non Sottomissione all’Islam. NS !! !